The Sydney Opera House today announced that award-winning Australian designer Dion Lee will create a new wardrobe for Opera House staff, bringing his celebrated architectural and sculptural aesthetic to the World Heritage-listed masterpiece that has long inspired his work. 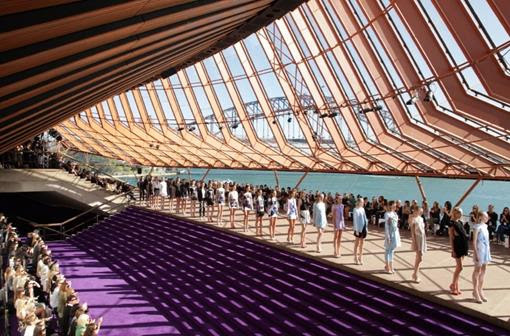 The collaboration was announced ahead of Lee’s opening show for this year’s Mercedes Benz Fashion Week Australia on Sunday afternoon, staged on the Opera House’s Monumental Steps. The headlining show is Lee’s fourth at the Opera House, which has been a key influence throughout the 32-year old’s stellar career. In 2010 he became the first designer to show in the Concert Hall Northern Foyer. 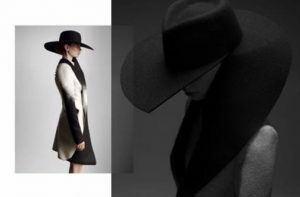 In 2013 he designed the acclaimed 2013 ‘Utzon’ collection as the first Australian representative at the prestigious International Woolmark Prize, which launched Lee internationally. Over the next 12 months, Lee – who since 2010 has won the Woolmark Designer Award at Melbourne Fashion Week, Qantas Spirit of Youth Award and Best Designer awards for GQ and Marie Claire magazines – will design a range of uniforms for more than 600 employees, including front-of-house, box office and tour guide staff. Today’s announcement comes as the Opera House prepares to begin its first major Renewal project in the Joan Sutherland Theatre, part of a larger $273 million program of upgrades to prepare the Opera House for the next generation. Sydney Opera House CEO Louise Herron AM said: “Renewal is transforming the Opera House for future generations of artists, audiences, visitors and, most immediately, for the hundreds of staff who make the magic happen on-and-off stage, 363 days a year. Dion Lee said: “I first visited the Opera House as a child to see theatre and contemporary dance and I have been a regular ever since. The Opera House is a place that I’ve consistently looked to for creative inspiration. I’m truly honoured to be working with the Opera House and its staff to design their new uniforms. Design and manufacturing of the collection is expected to take approximately 12 months, with Opera House staff closely involved throughout the process.